The scheme links ration and Aadhaar cards with a view to curbing corruption and increasing transparency in the system. 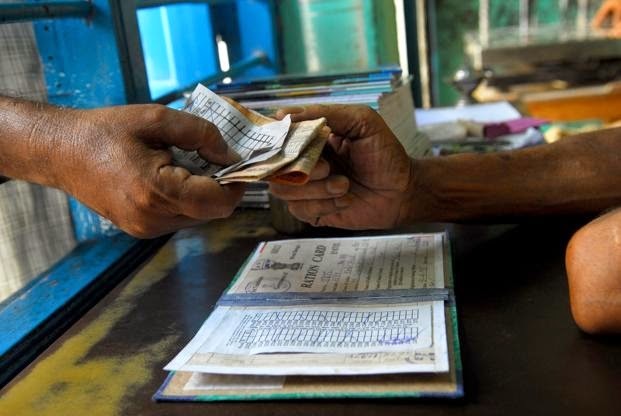 New Delhi, Mar 23 : Delhi will become the first state in the country to launch an e-ration card service which links ration and Aadhaar cards with a view to curbing corruption and increasing transparency in the system. The service will be inaugurated by chief minister Arvind Kejriwal next week, a senior government official said in New Delhi. “Anybody with an Aadhaar card can apply online for a ration card. Those who are waiting for an Aadhaar card can also apply for a ration card with the Aadhaar card number on the online slip. Ration card will be now linked with Aadhaar card,” the official said, adding that those who do not have access to the Internet can apply at the office of their respective MLAs. To make it easier for people to avail the service, the government will also accept other identity proofs. “We want to make the system easier so that the maximum number of people can avail the service. Those who don’t have an Aadhaar card can provide some other valid identity proof to apply for ration card,” the official said. According to a senior officer, although a similar service has been announced by the Punjab and Maharashtra governments, Delhi would be the first to implement it. Through the new service, an applicant can also take the print of his ration card, which will be valid like e-ticket. “We had received many complaints of corruption in the process of distribution of ration cards in Delhi. We have now brought the entire process online. All the work done in the ration card department can be checked online,” officer said, adding that the digitisation of records will also expose fake or duplicate ration cards. Along with the online ration card, Delhi government will also start issuing temporary Fair Price Shop (FPS)-licences. According to government data, there are around 25,000 FPS in Delhi. “It takes around three months time to issue and set-up an FPS, which is operated by private players to provide subsided foodgrains. In case of cancellation of any licence, the process of issuing a new one is too lengthy. So, the government will now issue temporary licences in seven days which will be valid for three months,” the official said. It is really a great thing that Indian government finally had a sollution for this problem with electronic payments. It is really a great improvement for a country. Hope now it will be the first step for involving bitcoins in this system.